Another round of Takata recalls have affected Mercedes-Benz and Freightliner Sprinter vans from 2014 to 2017. This latest action includes Daimler's Sprinter vans, Subaru, Tesla, BMW, Volkswagen, Mercedes and Ferrari models. It's part of the largest and most complex series of automotive recalls in U.S. history. While approximately 10 million inflators are being recalled in 2019 alone, as many as 70 million will be recalled by the close of the safety action late next year, reports AP. The recalls began in 2001 and are being phased in over time and managed by the National Highway Traffic Safety Administration. The latest round includes cars, trucks, SUVs and commercial vans and covers both driver- and passenger-side front air bag inflators. On the commercial side, Daimler Vans USA is recalling 159,689 vans. These include approximately 71,301 2015-2017 Freightliner Sprinter 2500 and 3500 and Mercedes-Benz Sprinter 2500 and 3500 vehicles for faulty driver frontal air bag inflators. In addition, the manufacturer is recalling an estimated 88,388 2014-2017 Freightliner Sprinter 2500 and 3500 and Mercedes-Benz Sprinter 2500 and 3500 vehicles for flawed passenger frontal air bag inflators. 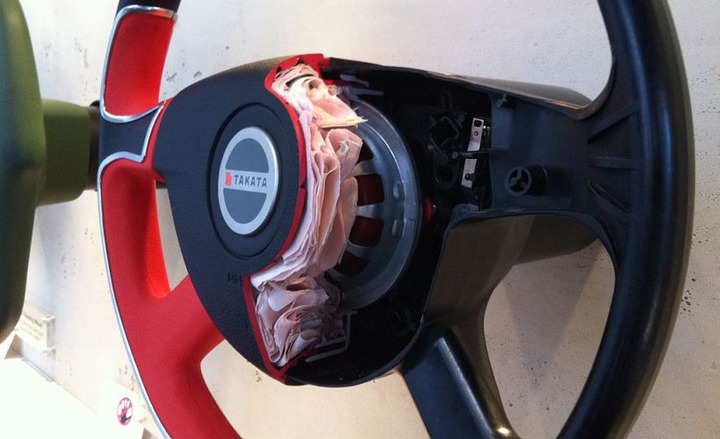 To date, at least 23 people worldwide have been killed due to the faulty Takata air bag inflators, reports AP. As of December, automakers have recalled 50.36 million inflators and replaced 27.2 million of them. According to the NHTSA website, more than 23 million remain unaccounted for and need to be replaced, notes the report.